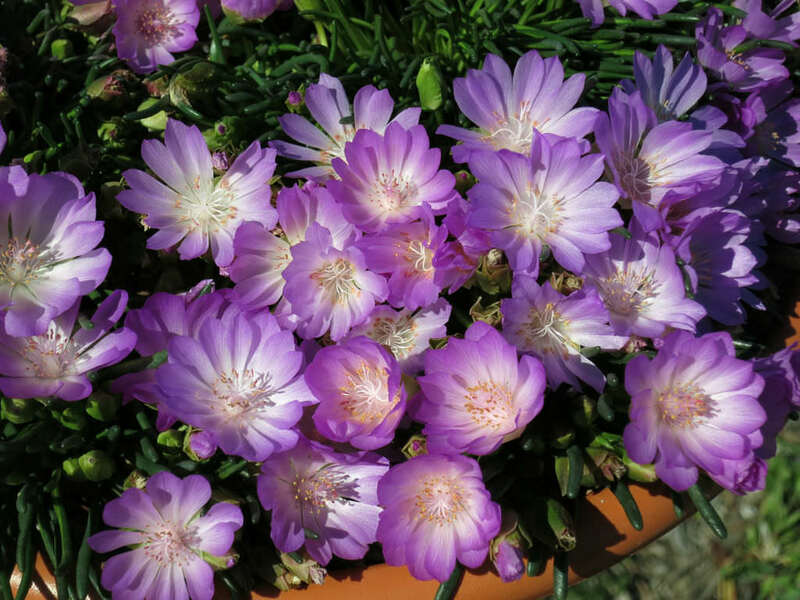 Lewisia rediviva is a low-growing, perennial plant with a fleshy taproot and a simple or branched base. 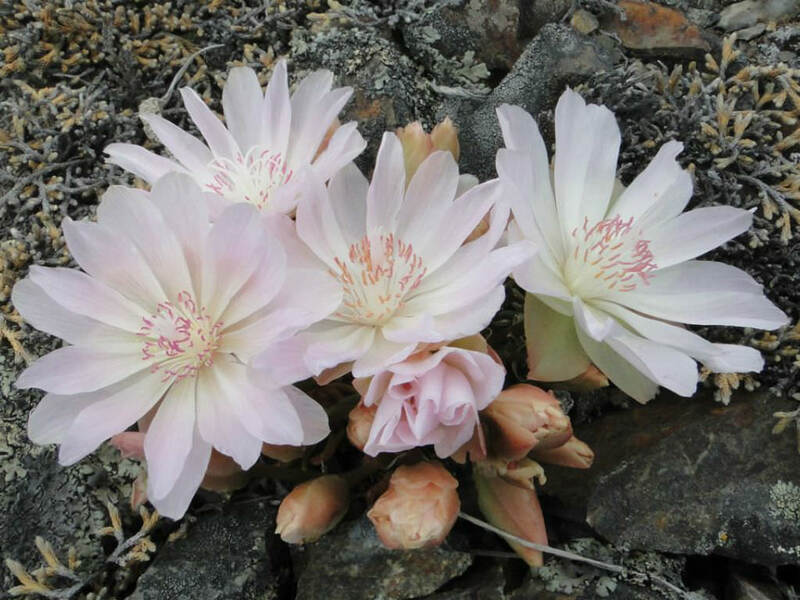 The flower stems are leafless, up to 1.2 inch (3 cm) tall, bearing at the tip a whorl of 5 to 6 linear bracts up to 0.4 inch (1 cm) long. 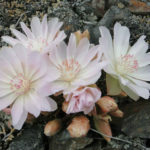 A single flower appears on each stem with 5 to 9 oval-shaped sepals. They range in color from whitish to deep pink or lavender. 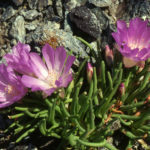 Flowering occurs from April through July. At maturity, it produces egg-shaped capsules with 6 to 20 nearly round seeds. USDA hardiness zone 4a to 8b: from −30 °F (−34.4 °C) to 20 °F (−6.7 °C). 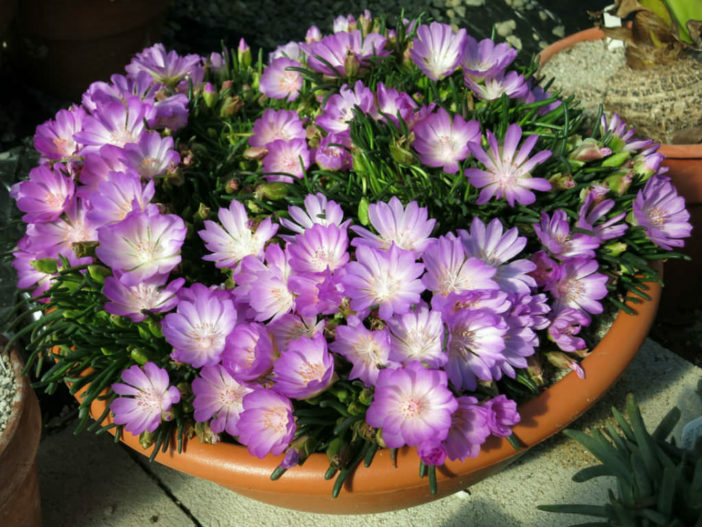 Lewisia plants produce offsets, which are the easiest way to propagate this interesting little succulent. Simply divide them from the parent plant and pot them up to grow a good taproot and fleshy feeder roots. 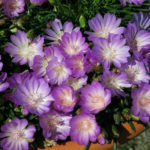 You can also learn how to grow Lewisia from seed. The tiny plants take a couple of seasons to form a rosette but establish easily when sown in a sandy potting mixture. 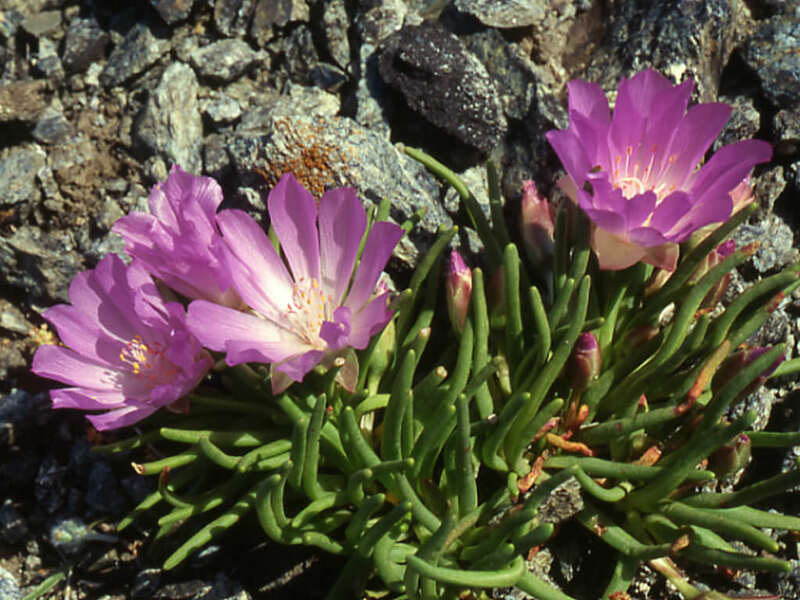 Native to western North America from low to moderate elevations on grassland, open bushland, and forest.